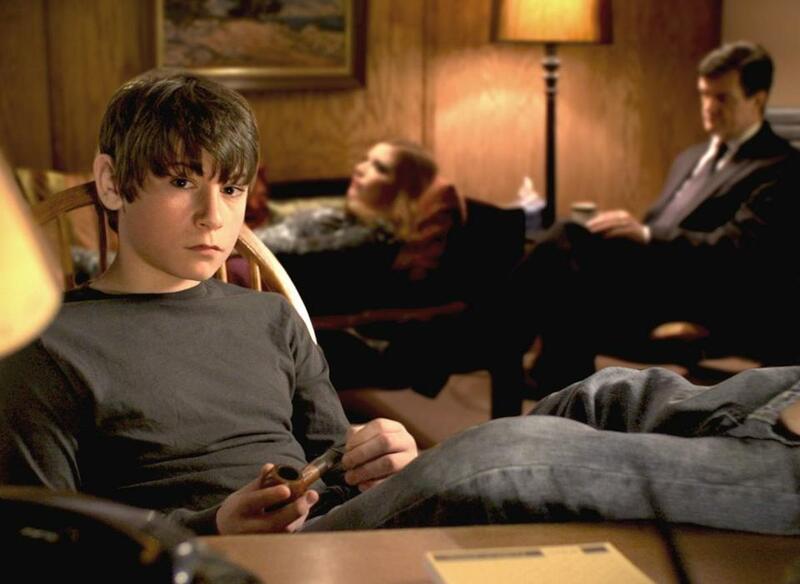 The 21-minute film boasts a cast headed by Michael Cumpsty, a 2016 Tony nominee for “End of the Rainbow,” playing the psychoanalyst father; respected Boston actress Georgia Lyman as the mother; and another local talent, Christian Goodwin, as their 12-year-old son. Berklee College of Music professor Sheldon Mirowitz composed the film’s score. Mirowitz also composed the score for Ascher and Jordan’s Oscar-nominated documentary “Troublesome Creek, a Midwestern” (1995), about Jordan’s own family’s struggle to save their Iowa farm. Boston-area psychoanalysts Steven Cooper and Michele Baker will be on hand after the screening for a discussion about the film, developments in psychoanalysis, and the effects on a family when a parent is a psychoanalyst. Among Ascher and Jordan’s other films is the Emmy-nominated HBO documentary “Raising Renee,” which won the audience award at the 2011 Independent Film Festival Boston. For more information, go to www.coolidge.org. Steven Spielberg’s 1977 science fiction classic “Close Encounters of the Third Kind” screens at the Museum of Fine Arts on Dec. 10 at 2 p.m. Boston author Ben Mezrich will be on hand for a post-screening talk about his new book, “The 37th Parallel: The Secret Truth Behind America’s UFO Highway.” It tracks the UFO-hunting adventures of Chuck Zukowski, a microchip engineer and former sheriff’s deputy in El Paso County, Colo. Mezrich is best known for the books “Bringing Down the House” and “The Accidental Billionaires,” which inspired the films “21” and “The Social Network,” respectively. For more information go to www.mfa.org. Get ready for an early holiday gift as the Harvard Film Archive presents its eighth annual Vintage Holiday Show at 4:30 p.m. on Dec. 4 with a free screening of nine holiday and seasonal short films for all ages from the HFA vaults. This year, all of the films are from a recent addition to the HFA catalog, the Boston Public Library’s circulating collection of 16mm and 35mm films. The program includes “The Great Toy Robbery,” an animated western from 1963; “The Cherry Tree Carol” (1968), the traditional Christmas carol performed by choreographer Agnes de Mille’s Appalachian dance troupe; and “A Charles Dickens Christmas: From the Pickwick Papers” (1958) about a visit by Mr. Pickwick (Roddy Hughes) and his friends to Dingley Dell Farm. More offbeat holiday fare follows at 7 p.m. when the HFA presents “A Video Christmas With George and Karen,” the annual short holiday videos recorded by cult and avant-garde film star George Kuchar and featuring his fellow San Francisco artist and friend Karen Redgreen. For more information on both programs, go to hcl.harvard.edu/hfa.